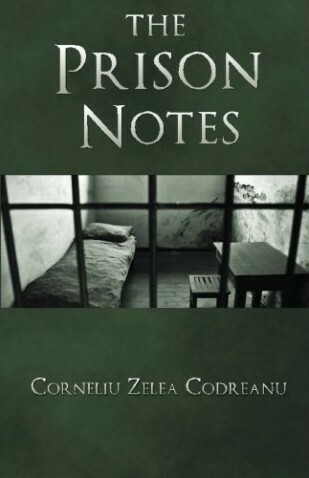 The Swedish publisher Logik Förlag has recently provided a republication of the English edition of Corneliu Zelea Codreanu’s The Prison Notes (Amazon; Logik Förlag). The first English edition came out in 2011 and was done by Reconquista Press, although copies eventually sold out, thus making the book unavailable for the last couple of years or so, until now. Corneliu Zelea Codreanu was the founder of the Romanian nationalist and anti-Semitic movement called The Legion of the Archangel Michael, typically known as the Iron Guard or the Legionary Movement, which was most active during the years of the interwar period and World War Two. The Prison Notes are Codreanu’s final pieces of writing, composed in the last few months of his life that he spent in Jilava Prison, between March and November of 1938, where he was imprisoned by the “royal dictatorship” of King Carol II. Considering that the notes were mostly scribbled in the dark with whatever materials Codreanu could find in his cell, it is rather miraculous that they survived at all. Having said that, The Prison Notes is a rather depressing book. Most entries are filled largely with complaints and expressions of misery regarding the persecution of his movement as well as his physical and material conditions in the prison. Anybody who is aware of Codreanu’s history would know that it was not unusual for him to spend time in prison, as his movement was heavily persecuted ever since its founding. Yet, it is clear from his writing here that this last prison experience was unusually difficult and damaging to his health. Codreanu said of his prison cell that “if, outside, I had seen a man wishing to sleep even for half an hour in such a place, I would have stopped him and said, ‘Do not, you will hurt yourself’” (17). His cell was damp, cold, and extremely dirty, he was given very little food or clothing, the air of his cell was so dusty and polluted that breathing it in caused him to “feel my lungs pierced by needles, by bullets,” and his bed was a hard “bed of planks” (18). His descriptions of agony and discomfort seem endless, and quite literally make a reader reminisce about every moment of hardship or pain they experienced in their own personal life. Consequently, the book makes a very difficult read, emotionally speaking, and if it were nothing but accounts of pain we would say that it is not worth reading. However, there is more to it than that, for among the descriptions of suffering there are a few gems — comments and remarks by Codreanu relevant to understanding the nature and goals of his movement, as well as its history and philosophy. Codreanu founded his movement as one dedicated to Christian principles, as it was meant to be peaceful, non-violent and also honest, in contrast to the typical demagogues rampant in most republics in the modern world. If the sincerity and self-sacrificing character of Codreanu and his movement could not be believed on the basis of his previous works and actions, it becomes even more clear in these prison notes which he did not intend for publication, as one witnesses his patriotic expressions filled with misery: “O Country! How you reward your sons! Lord …Take my Life! Since for you, O Country, our life is not required. It is our death that you desire” (18, 24). Moreover, while Codreanu’s movement is typically analyzed as a political movement by most mainstream historians, supposedly akin to the Fascist or National Socialist movements, it was actually meant to be primarily a spiritual movement. Thus, in contrast to the Fascist or National Socialist movements, the Iron Guard was focused firstly more on improving the moral character of people rather than what political-economic programs they practiced. It can be said that in contrast to Mussolini who obtained power through his “March on Rome” as soon as he felt strong enough to grab authority, or to Hitler who attempted to gain power prematurely through his failed “Beer Hall Putsch,” the Romanian Iron Guard refused to obtain power by way of such dubious means, despite being popular enough to make a successful putsch during the 1930’s, because of its sincerity and its attention to moral and spiritual improvement. It is this element of his movement that Codreanu refers to in The Prison Notes when he states that humans are typically “taken up with and love the victories over other men, and not the victories over Satan and sin. All the great men of yesterday and today: Napoleon, Mussolini, Hitler, etc., were taken up above all by these victories.” But “the Legionary Movement is an exception in concerning itself also, however insufficiently, with the Christian victory in man for his salvation. Yet not enough!” (54). That being said, most mainstream scholars assess the violence and assassinations committed by certain members of the Iron Guard as inherent to the movement. However, they forget that these assassinations and violent actions were usually committed by deviant groups who departed from the movement and its ideals. Such eruptions of violence among the Iron Guard were, in virtually every case observable, committed without permission from Codreanu or Iron Guard leaders and were also extremely rare in comparison to the violence of their political opponents. This is why legal courts in Romania at the time could never pin the actions of assassins like the Nicadori or Decemviri on the entire Legionary Movement; and even though Codreanu visited these assassins in jail and expressed his sympathies for them, this could never be proven to be more than mere loyalty to those who used to be his faithful friends. However, it is clear that it was due to the actions of such assassins that Codreanu ends his comment quoted above by saying that the Legionary Movement’s efforts to transcend man’s sinful tendencies were “not enough.” But, nevertheless, all non-violent movements in history had occasional outbursts of violence and deviations from their ideals, and the Legionary Movement was inevitably not going to be an exception to this. In reality, it is the effort that truly matters most in the long-run. Another interesting comment in The Prison Notes is when Codreanu expresses his thoughts on the denunciation of the Iron Guard by Miron Cristea (Patriarch of the Romanian Orthodox Church from 1925–1939 and Prime Minister under King Carol II from 1938 until his death in 1939). Codreanu exclaimed: “We are sacrificing ourselves, we are dying, blood gushing from breasts, to defend the churches, and the Church denounces us as ‘a danger to the people,’ as ‘gone astray,’ as ‘alien to the nation.’ What a tragedy in our souls!” (43). This is reminiscent of the fact that Christian Churches, ever since the Middle Ages, have, regrettably, occasionally condemned persons or groups that were not deserving of such censure – perhaps one of the most famous groups being the Knights Templar. Such instances were unfortunately also usually done for corrupt reasons. As a matter of fact, Dr. Alexander Ronnett, an expert on Iron Guard history and former member of the movement, actually suggested that Cristea was a subversive figure within the Orthodox Church and described him as “a man of low morals, a Mason, and a womanizer.” Although, it is also noteworthy that the patriarch who succeeded Cristea reversed Cristea’s condemnation and accepted the Iron Guard as conforming to Christian Orthodox standards. Remarkably, the Romanian clergy even came to eventually accept Codreanu as a saint. Lastly, a final aspect of the book worth mentioning is that it includes interviews and essays by Julius Evola, which provide a philosophical as well as a political commentary on the Legionary Movement. Evola’s examination of Codreanu’s thought may provide some interesting insights as it reveals a “Perennial Traditionalist” perspective of Legionary ideology, though readers should keep in mind that Evola’s understanding of Legionary doctrine clearly had many limitations and biases (e.g., he does not truly acknowledge its populist aspect). The most valuable aspect of the appendices, however, is Evola’s commentaries on the political situation of Romania during the time of the dictatorship of King Carol II. It is known that Carol II created his own so-called “fascist” movement and instituted the nationalist Cuza-Goga government under his reign (Cuza was a former associate of Codreanu who controlled his own nationalist organization known as the National-Christian Defense League). However, Carol II ensured that Cuza and Goga would remain ineffective in implementing genuine nationalist policies and in reducing the influence of Jews who were exploiting the Romanian peasants. So, as Evola correctly wrote, Carol II’s installation of a supposedly nationalist government was merely an attempt “to remove this threat [of the Iron Guard] by offering the nation a surrogate nationalism, something which outwardly mimicked the ideals and goals of the Legionary Guards,” but which was in reality a false alternative meant to maintain the status quo in Romania (75). The cases of Miron Cristea and King Carol II’s government, in relation to their actions against the Iron Guard, are consequently invaluable in teaching us lessons on two things: (1) how the genuinely good people will sometimes be depicted as evil even by authorities we may hold in the highest regard, and (2) how movements seeking to create authentic change and improvements in opposition to the status quo must be cautious of the fact that the establishment will frequently try to provide the masses with false surrogates as alternatives. In the end, Codreanu’s movement succeeded in defeating its surrogate opponents, as it successfully obtained power for a brief period of time from September of 1940 to January of 1941, despite all the odds being against it. It did this by showing itself to be morally superior and trustworthy in comparison to all other alternatives. Winning against such odds requires determination and faith even in the face of extreme suffering and torture, and this may be one of the most important messages Codreanu gives in his writings for us today. As he stated near the end of The Prison Notes: “May God accept my suffering, for the well-being and prosperity of our nation! Pain upon pain, suffering upon suffering, agony upon agony, wound upon wound in our bodies and in our souls, and fall after fall: thus shall we conquer” (42). For those unaware of Corneliu Zelea Codreanu or his movement, we recommend reading, along with The Prison Notes, his other major works which have been translated into English; namely his magnum opus and autobiography For My Legionaries and The Nest Leader’s Manual. In regards to For My Legionaries, we especially recommend the recent fourth edition published by Black House Publishing, which includes extensive historical overview by this reviewer and additional relevant texts for understanding the Iron Guard. If readers are interested in learning about the history and ideology of the Iron Guard, as well as viewing the sources for our comments and analyses in this review, we recommend our essay “The Romanian Iron Guard: Its Origins, History and Legacy.” The essay is available in Black House Publishing’s edition of For My Legionaries as well as in The Occidental Quarterly 14, no. 1 (Spring 2014). See Alexander E. Ronnett, Romanian Nationalism: The Legionary Movement (Chicago: Romanian-American National Congress, 1995), 183. It should be noted that the reason for the Iron Guard’s short reign was not due to it being politically inefficient, but because it was betrayed by the power-hungry general Antonescu who used Hitler’s assistance to forcibly remove the Iron Guard from authority and any positions of influence.